A group of young hikers found themselves rewarded with more than a scenic vista after climbing The Big Sugarloaf in County Wicklow Ireland last week. After tackling the 1,644ft hike, the Bravehearts stumbled upon a shaggy-looking bearded man shrouded in black, looking like a Complete Savage while admiring the view. 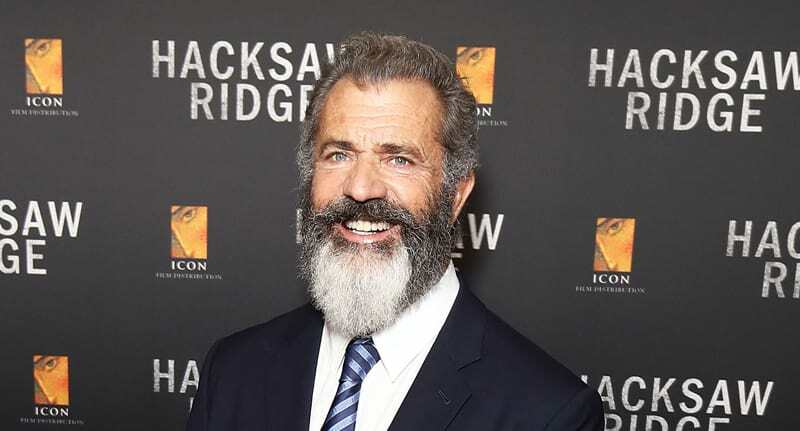 On closer inspection, the Signs all pointed to one conclusion and they realised their lone companion was none other than Mad Max himself, Mel Gibson. The group, after checking for a Lethal Weapon, approached Gibson for a selfie and he kindly obliged because he knows exactly What Women Want – despite climbing the mountain to get away from prying eyes, presumably. Heather was joined by pals Michael O’Connor and Shane Gallagher, according to The Derry Journal, and after the thrill of meeting The Patriot, apparently needed to wind down with some hilltop yoga. The 60-year-old actor is currently in Ireland filming The Professor and the Madman, also starring Sean Penn and Game of Thrones‘ Natalie Dormer. At least we all finally know How Gibson Spent His Summer Vacation.